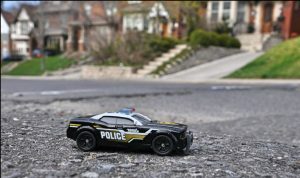 The province of Ontario has undertaken a long overdue and significant task: re-examining how we conduct policing in our communities. All IN seized the opportunity to make some significant recommendations, and submitted a report to the Ministry of Community Safety and Correctional Services (MCSCS) and Minister Yasir Naqvi. We are in the process of recruiting some new members to our Steering Committee. But we need you to spread the word: do you know people with fundraising experience who would relish the chance to help our incredible organization grow? Send them our way! Or tell them to find out more about our search for board/Steering Committee members here. We have done so much in just a few months since our launch. You can help us do more. We are an advocacy group and so rely on your donations. You can help us advocate for the right policies so that we need less charities. Consider making a small monthly donation by going here. You want to know what we’ve done in the last few months? •We’ve written to the province on inclusionary zoning laws. •And, most recently, we’ve sent our submissions on policing to Minister Naqvi. All in about 7 months!! Help us do more. Make a monthly or one-time donation. Visit here to donate. 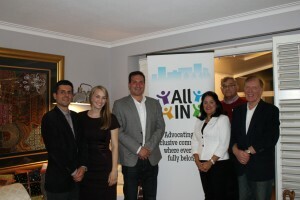 All IN engages the public and raises the level of discussion on important socio-political issues, promotes empathetic businesses and practices that bring long-term benefits to the community, and advocates for governmental policies that increase equality, empathy, and equity, and seek that long-term solutions to the issues that we face. Website designed and maintained by Launchbox Inc.